A social worker has been sanctioned by the Health and Care Professions Council (HCPC) after she forwarded confidential service user information to a personal email address. The children’s social worker was given a one-year conditions of practice order by a fitness to practise committee following the “clearly inappropriate” sharing of information between the two email accounts without redacting or encrypting the information. The emails contained sensitive information relating to and identifying service users. The panel also found the social worker failed to update notes on her council’s electronic case management system, or keep adequate written records of her meetings with children. In her evidence, the social worker claimed that forwarding the emails was not inappropriate, but the panel found otherwise. “It is also a clear breach of any Data Protection Policy to send confidential information in this way. 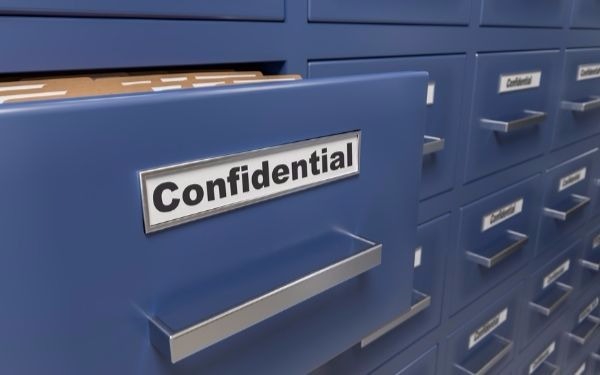 The panel considered that the explanations given by the registrant for this behaviour could not in any way justify these serious breaches of data protection and the subsequent risks thereby posed in relation to breaches of confidentiality,” the panel said. “The registrant made no attempt to redact or encrypt the confidential emails or attached documents, thereby putting service users and their families at risk of their confidential information being exposed,” it added. The social worker argued that poor case recording was caused by “limited access to stationery”, and there was confusion about her having two supervisors. However, she “failed to satisfy” the panel in her explanations for failing for eight months to complete e-learning required to access the local authority’s case recording system. The panel concluded that the social worker’s failings had the potential to cause harm to service users and their families and gave her a 12-month conditions of practice order. As part of the order, the social worker must work with a supervisor to make a personal development plan designed to address “deficiencies” in case recording, data protection and confidentiality. I think employers should be supporting social workers via supervision and disciplinary procedures should be used but not always automatic HCPC input as they do not appear to have a clear understanding of the pressures and stress under resourced social workers are experiencing and tend to be living in cloud cuckoo land the way they are dishing out punishments and ruining the social workers lives and careers. HCPC should only be used for very serious cases of misconduct. How disgraceful that this body’s punitive sanctions target the sw profession disproportionally. Was management not aware of this? Did they sanctioned it and then conveniently targeted the sw for her failings? Did she have the tools to do the job? of course not! I bet she did not chose to work on her own unpaid time at home without management suggesting she email sensitive material to herself. Fed up that not only the media and politicians targeting sws- we have a body we pay for that does the same! Why could the Local Authority not deal with this internally? There is clearly no malicious intent, instead she was clearly not thinking through the potential data protection risks. I gain the impression that Local Authorities are now using the HCPC to save them from having to do their own investigations/capability procedures. Or worst case scenario- they are putting the social workers through both. What the report doesn’t mention is that the registrant admitted a number of allegations at the start of the hearing. In this case, the social worker is still on the HCPC register but a conditions of practice order applies for 12 months from the date of the order. Do the other commentators believe that it’s acceptable for social workers to send work records to a private email address? Is that what you tell service users about how you are going to handle their data? I fully expect this comment will never be published, as social workers can’t stand the slightest criticism and believe they should never be regulated. Well, what a fiasco. two supervisors and a failure of training. It seems to me that whilst the SW cannot justify her actions fully and does need to take responsibility, why is there or is there a lack of resources. As a Supervisor to not ensure that basic data protection training hadnt been accessed I believe that is a failure which warrants exploring. I have read some HCPC decisions and some clearly mention resourcing issues, lack of good or effective supervision but often this is minimised or ignored, it seems to me that HCPC need to get of their high horses and start recognising that these are challanges that some professionals navigate all day and everyday.